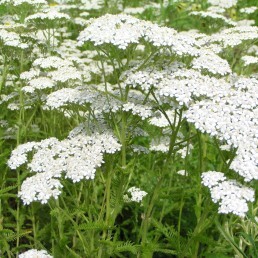 Easy to grow plant with white flowers beloved by bees and butterflies.? Aromatic ferny-foliage. 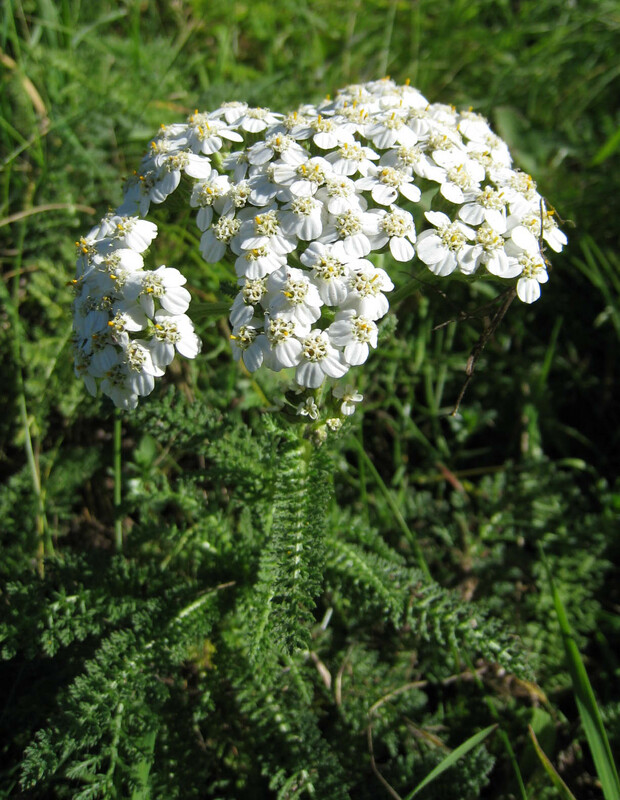 White flat-topped flower heads on fern-like, aromatic foliage. 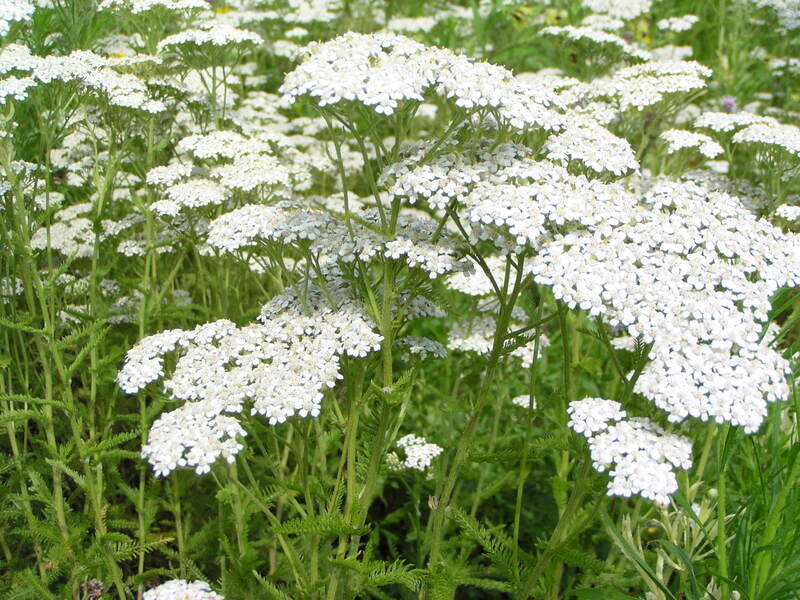 Likes to grow in lean, infertile soil. Historically used for pain relief by various tribes of the Plains region of the United States. Cut back to basal foliage after blooming to encourage additional blooms. Achillea millifollium spreads by rhizomes and seeds.